Evolve Salmon & Sweet Potato Recipe Jerky Bites are healthy and holistic treats designed for dogs with food sensitivities, which in turn promotes a healthy immune system. 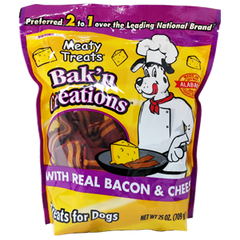 The treats are soft and moist, which will entice your best friend to continuously want more. The advanced grain-free formula combined with the salmon and sweet potato ingredients not only taste great to your best friend, but are a nutritious snack to keep your dog happy and healthy. Choosing Evolve Grain-Free Salmon & Sweet Potato Recipe Jerky Bites is the key to a healthy and holistic future for your best friend! DEBONED SALMON, TAPIOCA STARCH, SWEET POTATOES, PEA FLOUR, CHICKEN FAT (PRESERVED WITH MIXED TOCOPHEROLS), GLYCERIN (DERIVED FROM VEGETABLE OIL), CHICKEN MEAL, GARBANZO BEANS, PEA STARCH, GROUND FLAXSEED, SUCROSE, CANE MOLASSES, GELATIN, DRIED CULTURED SKIM MILK, CITRIC ACID (A PRESERVATIVE), SALT, POTASSIUM CHLORIDE, NATURAL SMOKE FLAVOR, DRIED BLUEBERRIES, DRIED CRANBERRIES, AVOCADO, DRIED APPLES, DRIED CARROTS, PARSLEY, PAPAYA, SPINACH, KALE POWDER, VITAMIN A SUPPLEMENT, VITAMIN D SUPPLEMENT, TAURINE, DL-METHIONINE, MINERALS: (ZINC SULFATE, COPPER SULFATE, MANGANESE SULFATE, CALCIUM IODATE, SODIUM SELENITE), ROSEMARY EXTRACT.